Medieval Costumes There are 58 products. 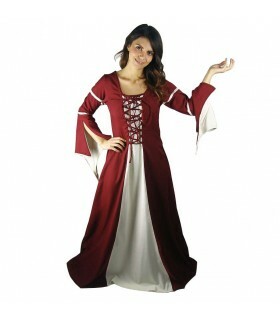 Dress medieval autumn model Ava with wide sleeves. The dress is made of cotton 100% and it should be dry clean. 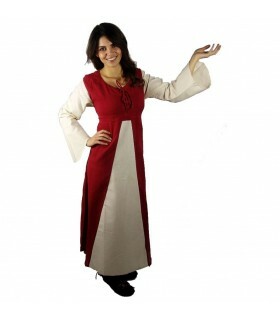 Dress medieval wide sleeves made in cotton 100%. The dress is adjusted by means of laces in the front. Is machine washable to 30°. 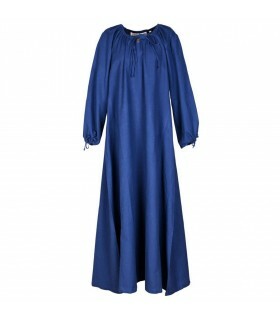 Dress medieval long sleeve model Ana in blue. The design is simple and has a cutting width, which makes it very comfortable to wear. It is made of cotton 100% and should be washed at 40 ° with the delicate clothes. 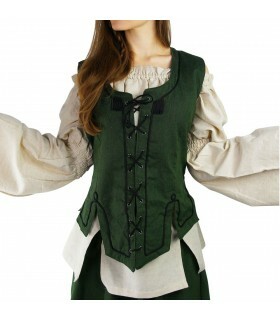 Dress Medieval Woman Agga short sleeve, Green, and lace-up chest. 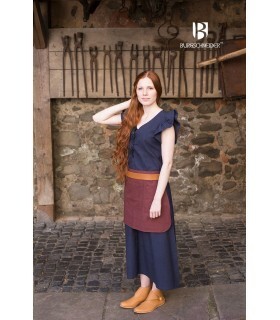 Dress Medieval Woman Agga short sleeve, in Blue and with lace-up chest. 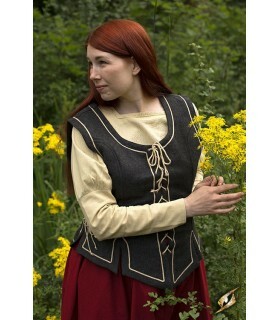 Dress Medieval Woman Agga short sleeve, in Black and with lace-up chest. 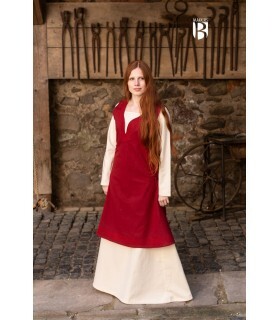 Dress medieval model Lannion color red made of cotton 100%. CARE.- Only includes the top. Does NOT include the long tunic beneath it. 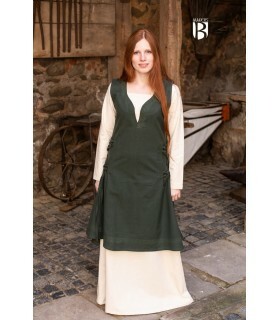 Dress medieval model Lannion green color made in cotton 100%. CARE.- Only includes the top. Does NOT include the long tunic beneath it. 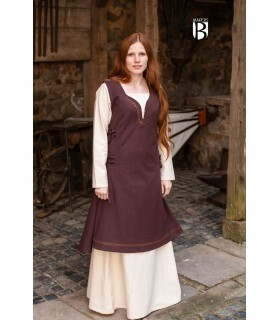 Dress medieval model Lannion brown color made of cotton 100%. CARE.- Only includes the top. Does NOT include the long tunic beneath it. 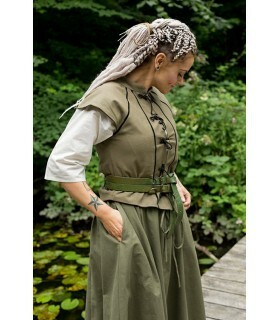 Dress medieval model Frideswinde available in green color. It is a dress made by hand with materials of first quality. 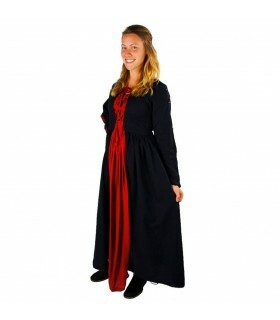 Dress medieval model Frideswinde available in blue color. It is a dress made by hand with materials of first quality. 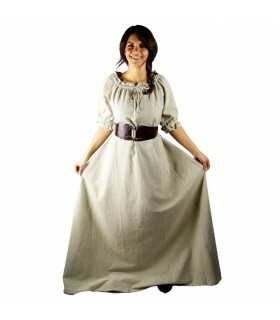 Dress medieval model Frideswinde available in beige. It is a dress made by hand with materials of first quality. 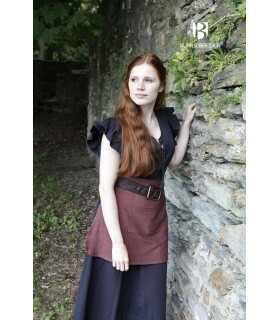 Dress medieval model Karen short sleeve and made of 100% cotton. Must be machine washable to 30°. 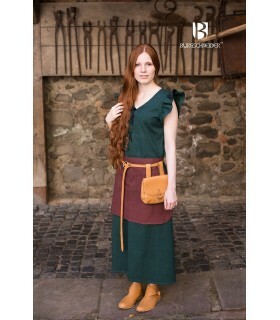 Dress medieval model Silja short sleeve and made of 100% cotton. Must be machine washable to 30°. 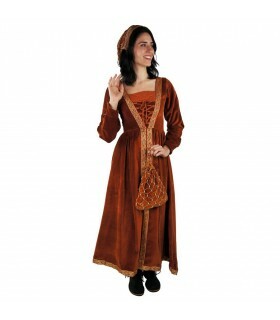 Dress medieval model Andreea made of viscose. Is adjusted by means of ties in front, behind and on the sides. It should be washed at 30°. 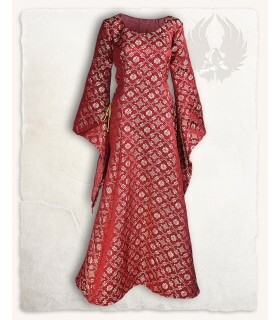 Dress of the medieval nobility made of viscose and the edges of the polyester. Closes behind with zipper. Should you wash at 30º with the delicate clothes. Dress medieval model Jellyfish with settings of lace-up tano in front as behind. The dress is made of cotton and viscose. Should you wash at 30º with the delicate clothes. 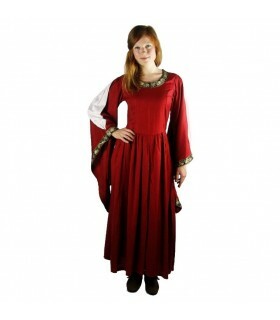 Dress of the medieval nobility with embroidery on the sleeves and at the waist. The sleeves of this dress are wide with trumpet-shaped. It is made of viscose and should be washed at 30 ° with the delicate clothes. Is adjusted by means of laces in the back.